As you can see from the heading of this week’s blog entry, there’s lots of variety as far as species is concerned. 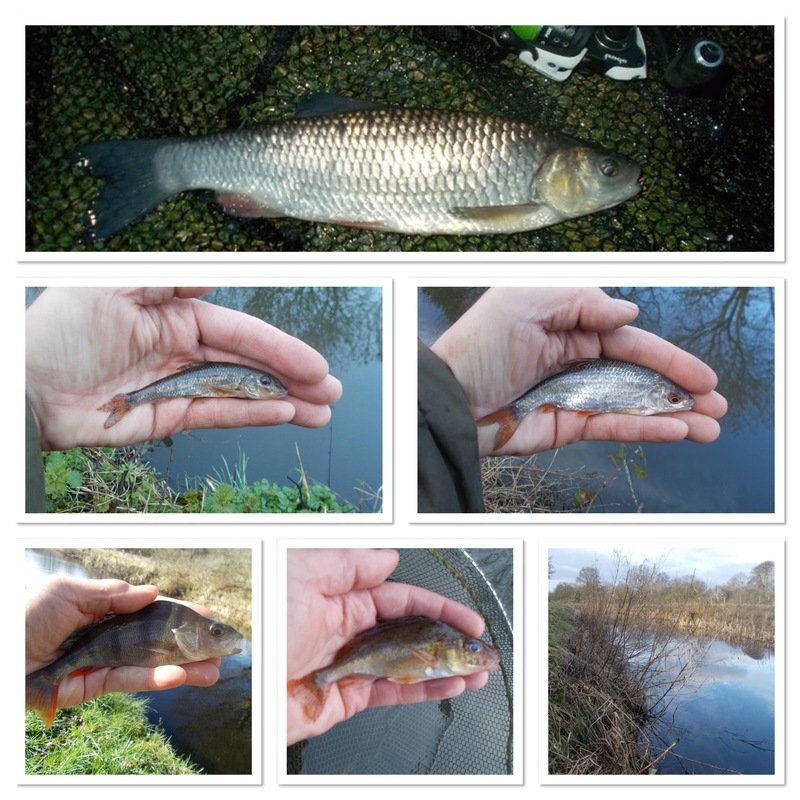 I’ve done 9 sessions this time round, and apart from perch that were caught while mini-jigging, the others have all come while fishing a single maggot on a size 18 hook on the canal. As you can see in the accompanying video, I fish with a rod that is already made up and that’s an important factor as far as getting lots of extra sessions in. Many of my outings, especially the mini-jig ones, are very short indeed. I try to aim for at least thirty minutes but sometimes it’s a case of grabbing just ten. I don’t mind though, as what it means is I’m getting some fishing time in, and although the longer you fish the greater the chance there is of catching, the reality is even if you only manage one cast it gives you more chance of connecting than if you weren’t fishing. Not that I want to go and have just one cast of course, especially when lure fishing, but you get the point I’m making. One of the big things for me personally is that I am thinking outside the box as far as my angling is concerned, certainly from the perspective of making the most of every opportunity. That’s how I’ve managed to do 80 sessions so far this year. Not bad for someone who lives a busy, action-packed life already is it? In the video I mention the camcorder that I use, and as promised, I’m covering it here. Over the years I’ve done hundreds of videos, and I’ve used various makes and models, but the current one is serving me very well indeed. It’s a JVC Quad Proof and, which is very important for quality, it’s HD. When I look at my early videos on YouTube there is a massive difference in how they look on the screen compared to now. That’s the great thing about technology, it’s improving all the time and you don’t have to spend huge amounts of money to get decent equipment. I’ve had angling stuff published on the internet way before this blog – that itself goes back to 2003 – so I can recall very clearly the days when you would spend far more than you do now and get less for it as well. The ‘quad proof’ on my current camcorder refers to dust, freeze, shock and water. The first two aren’t a big thing for me personally, the third is nice to have but it’s the fourth one that is the big box-ticker as far as I’m concerned. I’ve destroyed numerous cameras over the years due to playing the part of Mr. Clumsy and knocking them in the water. This one isn’t fazed by a good dunking. In fact, you can film underwater with it and I’ve done so on numerous occasions, releasing fish in the margins. Another big plus is that it has a light that you can use when night fishing (I used that in last week’s video). In the past I had a camcorder that I used to strap a headtorch to and switch on when doing filming after dark. It was a long-winded affair. If you’re like me and you are out and about round the clock, then lighting through the camera itself is not just a luxury, it’s essential. So, after a camcorder to go fishing? For me personally there are three essentials. Firstly, make sure it’s HD. Secondly, buy a waterproof one and thirdly, ensure that it has a built-in torch. Apart from that, happy filming! This is the 715th consecutive Saturday I’ve published a blog entry. As well as fishing, there is also other stuff as well and this week, as the posts below show, it’s George from Rainbow! They’re from my Facebook account. You can access it by clicking the posts or search me on there. Feel free to send me a friend request. It’s a great way of connecting with people and everyone is added.